Monica Caison of CUE Center for Missing Persons once again presents information on two missing persons cases with the hope that the one key clue to solve the cases will come from the listening audience. Shelley Mook, an eighth grade English teacher at Harris Middle School, has been missing since Feb. 28, 2011. Detectives say she was last seen at 4 p.m.. that day by her ex-husband, Tyler Mook, when she dropped their 6-year-old daughter off at his home on Old Nashville Dirt Road in Shelbyville. Police say around midnight, a car was found at the end of a couple’s winding driveway in Rutherford County, just 18 miles from where Shelley was last seen. “The couple heard an explosion and then saw the flames. They called the fire department ,and they arrived on scene very quickly,” Bedford County Capt. Tony Barrett said. Firefighters didn’t find anyone in the car, and it wasn’t until a couple of days later and after Shelley’s ex-husband, Tyler, reported her missing did police realize that the car belonged to Shelley. According to investigators, Tyler walked into the sheriff’s department on March 1, because she didn’t come back to pick up her daughter. Detectives have since searched two counties, Shelley’s phone records and Tyler’s home for clues, but nothing solid has come up. Police have said they believe Shelley is the victim of foul play, but they’re uncertain who is responsible for her disappearance. 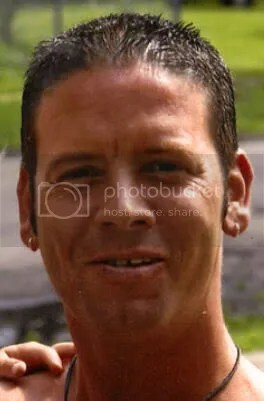 Derrick has not been seen since August 4, 2008, when he went missing in the Newberry area in the eastern Upper Peninsula of Michigan. At the time of his disappearance, he was living in a residence along North Manistique Lake Road, south of the village of McMillan and just west of East Lake. According to witness accounts, he was last seen walking into the bush across from a neighbor’s house. He was reportedly planning on meeting his now ex girlfriend at a prearranged location in the woods. When she arrived at the location, Derrick was nowhere to be found. He has not been heard from or seen since. At the time of his disappearance, Derrick was excited about the upcoming birth of his third child, due a few months later.